This is the real business of what do and love – this is the pointy end of the fun part. SAAA provides support, guidance and advice to help make it happen, make it fun – and safe. It’s all about as we say: Plan Wise – Build Well – Fly Safe. Do all of this – and it will be a truly rewarding exerience. At the heart of SAAA’s Build (Construction) support to Member’s are our Technical Councillors (TCs) and Authorised Persons (APs) – between them, these devoted volunteers are there to guide our Members through everything from aircraft selection, project planning, building, and obtaining a Special Certificate of Airworthiness. There are other advisors there to help too, but the TCs and APs are the main supporters in a build process. Building is also supported by the Member Support Program (MSP) Build Assist Program, training should you wish to do your own weight & balance, and knowledge. We strongly advise Members to participate in the MSP – it’s free, and participation also affords the opportunity to participate in the SAAA-QBE insurance offer. This Certificate can only be issued by a CASA officer or an Authorised Person (AP), delegated by CASA. Our APs act in accordance with the relevant CASA accepted SAAA AP Manual of Procedures. Whilst there are various other industry APs who charge commercial rates for their work and Members are of course free to use their services, their costs will more than likely be in excess of a thousand dollars more than engaging an SAAA AP. APs are also available and happy to Members to discuss any construction, maintenance or operational issues. TCs are located around the country and connected to Members through the Chapter network. They are volunteers experienced in building at least one aircraft, and often many. They all have a wealth of real practical knowledge around planning, building and documentation that is available to all Member to support and advise around all aspects of the building phase. The TCs operate in accordance with SAAA’s Technical Councillor’s Handbook. Many of the SAAA Members are extremely experienced pilots, and with experience across many aircraft types in not only the sport aircraft category but in the general, commercial and often military aviation sectors. A number of the Members provide informal support through the Chapter networks and always happy to help where they can. Many members are also acting in a number more formal ways such in the capacity of Flight Safety Advisors (FSAs). Our FSAs operate in accordance with SAAA’s Flight Safety & Training Manual – in summary our FSAs provide mix of on ground support around planning, training and test flying, and also support in the air as test pilots, safety pilots, mentoring flight trainers and instructors. As instructors, our FSAs provide type transition training and re-current flight training – delivered by SAAA Members who know our aircraft best. Find out more about the FSA role here. Whilst flight operations support has historically not been as great a focus within SAAA as has aircraft building support, Member demand and the risks associated with in particular early pilot time on types and low time airframes, is driving major development of SAAA’s flight operations support. The all new FSA program, which includes flight instruction was rolled out on December 2018. Flight operations are also supported by various elements of the Member Support Program (MSP), in which we strongly advise Members to participate. It’s free, and participation also affords the opportunity to participate in the SAAA-QBE insurance offer. FSAs are located around the country and connected to Members through the Chapter network. They are volunteers who are very experienced pilots and depending on their experience are accredited to advise and support in regard to a number of aircraft configurations and type classes on all matters relating to planning, flight testing, and general flight operations. This may include acting as test pilots, safety pilots, mentoring flight trainers and flight instructors (type transition training and re-current training). We encourage all builders and pilots to engage with an FSA – they can help with the selection of an aircraft to build (with consideration of a builder’s flight experience and capability); they can help with assessing flight safety systems that can be incorporated in to a build or major refurbishment; assist with planning a type transition training program, flight test operations and assessment and ongoing pilot proficiency. Find out more about the FSA role here. As part of SAAA’s enhanced Flight Operations support program, we aiming to increase the numbers of test pilots willing to assist Members in bring their pride and joys into the air for the first time. The SAAA Authorised Test Pilots (ATPs) are FSAs endorsed to provide this important service to SAAA Members. We strongly urge Members to consider the option to engage an experienced pilot, who is experienced test flying operations. The statistics show the exposure on early flights to be high as a function of pilot capability and low airframe time. So, unless you are a very experienced pilot, confident you can handle emergency situations and make unemotional operational decisions, a test pilot would a sensible pathway. 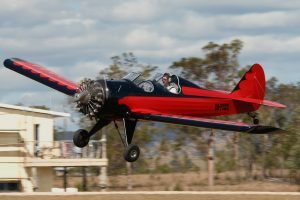 Most SAAA Members maintain their own aircraft. This only made possible by privileges extended to owner / builders who satisfy certain requirements – essentially that they have built the greater part of their aircraft and that they have passed the CASA accepted but SAAA Maintenance Procedures Course (MPC). 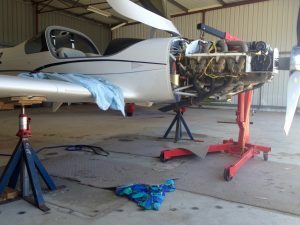 Provided the requirements are met, Members can not only enjoy the process of performing occasional and annual maintenance themselves, they will save tens of thousands of dollars over the life of their aircraft projects. The MPC also includes a Weight & Balance module, a requirement if a builder wishes to do their own weight and balances – again, a cost saver for Members. 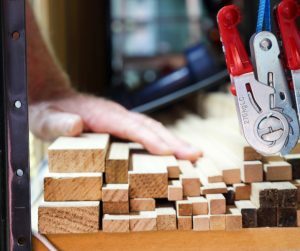 Maintenance activities are also supported by the Member Support Program (MSP) Maintenance Assist Program, in which we strongly encourage Members to participate. It’s free, and participation also affords the opportunity to participate in the SAAA-QBE insurance offer.